Who: The Stick Arounds – Lansing Michigan, Started in 2009. Recommended If You Like: Big Star, Guided By Voices, Teenage Fanclub, Sloan, Shoes, The Cars, The Replacements, and Elvis Costello. Cancel all of your Thursday plans. This is a game-changer. Grab all of your friends and head to the Melody Inn at 8:00 on Thursday when The Stick Arounds, from Lansing Michigan, will be joined by local Indy favorites No Pit Cherries, and the anticipated new Indianapolis band, Timid Lions, featuring former members of Minute Details, as they conquer The Mel, at what is sure to be a show you will be talking about for weeks. The very first thing I thought when I heard The Stick Arounds for the first time was, “Oh, I bet they are really fun to see play live.” They have one of those sounds that when you hear them on recording, you immediately know that they probably sound even better live. I’m certain this theory will be proven on Thursday at The Mel. The parts that stick out most about this band are their vocal harmonies –they have 2 singers, with different styles, but very much complement each other. They write catchy lines and hooks; memorable lyrics. You can hear everything from a slight bit of country, to power pop to punk. I am a sucker for a crunchy, dirty guitar sound, and these guys definitely have it. My top 4 tracks from their debut album “Mystery Garage, (12 original songs recorded live in 2016)” with links are listed below; please take a moment to check them out! Go ahead; I’ll wait…. “Fire and Rescue” is my favorite song by the band. This song has phenomenal harmonies and a really nice guitar solo, and just an overall nice flow to it. I dig the vocals a lot and it has just the right amount of “grit,” while still being very smooth in its own way. “This is the Part” is a very punk-sounding song reminiscent of an old school Misfits type of sound. Oddly enough, it also has a somewhat of a “The Who” flavor to it; a testament the versatility and eclectic nature of this band. “Girls All Over” is another punk song I really dig of theirs, that, without being a rip-off, I can say somewhat reminds me of me of The Stooges or Bowie in parts. This is one of those songs that you want to turn up really loudly when you are driving. Fast. “Simple Stories” is more power pop, and has that kind of beachy vibe; definitely a favorite. This song has nice harmonies and drums and I am definitely hoping to see this one live. Their new album “Ways to Hang On” comes out October 26, but the band was awesome and kind enough to let me hear it in advance. Be on the lookout for the song “Better off like this,” hand claps and harmonies are always a good thing; sort of reminded me of something like The Cars at first. “Majestic Figureheads” is another great song; nice guitar solo, and probably one of my favorite tracks from the new album upon first listen. The song, “What Was Coming” is brilliant; you can’t go wrong when you start a song out with the lyrics, “Been a prick way too long…” and, the cherry on top is that there is COWBELL in this song! “All I can Take” is probably my favorite song from the forthcoming album; very clever and the lyrics are great. “Falling Down on You” is yet another great track off of the upcoming album, which I highly recommend purchasing on October 26th at GTG records. According to the band’s website, “When the principal players of the Stick Arounds (Jeff Gower: ex-Gentleman Callers/Jason Lantrip: ex-Calliope/Matt Carlson: ex-Pantones) fabricated the band around a shared love for acts like The Knack, Elvis Costello, Big Star and Teenage Fanclub; the concept was to meld together a band that paid homage to the power pop era of rock and roll with a collection of cover songs and original compositions. Over the last five years, since the band began playing together, and with the addition of drummer Joel Kuiper (ex-Gentleman Callers/Pantones) and Ian Walker on bass, the Stick Arounds have morphed into a five piece celebration of what makes rock and roll still feel important. In their music, you’ll find bombastic garage rock, sharp Byrds-esque pop, Guided By Voices-inspired abandon, and classic rock turned on its’ ear, all themed together with a thread of instrumental ingenuity and a penchant for clever and thoughtful lyrics. Also of note, is that Thursday will be the very first show for new Indy band “Timid Lions.” Band members include: Matt Zitzer (drums/percussion), Yogi Winslow (guitar, vocals), Brandon King (bass), Van (guitar) Timid Lions is a new band from Greenwood, Indiana who describe their sound as Indy Rock with Progressive tones. They can be soft and precise when the mood strikes them, or they can be fierce and loud. 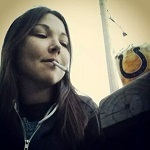 They are all musicians who know each other from the local Indy music scene. They are currently recording their debut single titled “Daisy” with Indy’s own Ryan Gibbons. 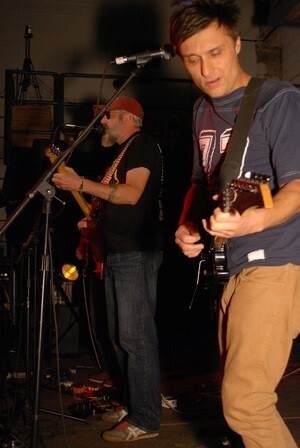 Be on the lookout for their forthcoming facebook/band page and links to the track. 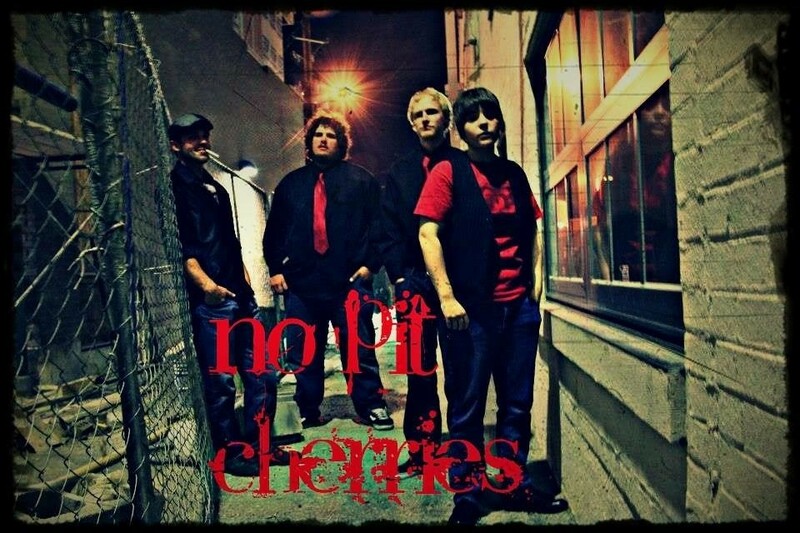 No Pit Cherries: An Indy favorite, these guys always put on a fun and pleasing live rock and roll show. A 4 piece made up of Indy natives Rocky Rodriguez, Kevin Boynton, Seth Chambers and Aaron West, they have released 4 albums since 2014 and frequently play shows throughout Indiana as well as Kentucky and Ohio. Their music could be described as classic rock-inspired Indie Alternative with little bits of bluesyness. NPC are 4 extremely talented musicians with different tastes and influences that combine seamlessly to form an eclectic cohesive sound, and they never disappoint. This bad girl will be having a good time on Thursday and I hope you and all of your friends can join me for this can’t-miss show at The Melody Inn on Thursday. Doors at 8:00; Five bucks gets you entrance to the best bar in Indy, the chance to hear 3 phenomenal bands, and the best bartenders in the game—not to mention my smiling face; unbeatable deal.